Buy Fantastic Four (2018-) #6 in the Marvel Comics App or Digital Comics Shop Today and receive a Behind-the-Scenes Extras at no extra cost! Who is VICTORIOUS? 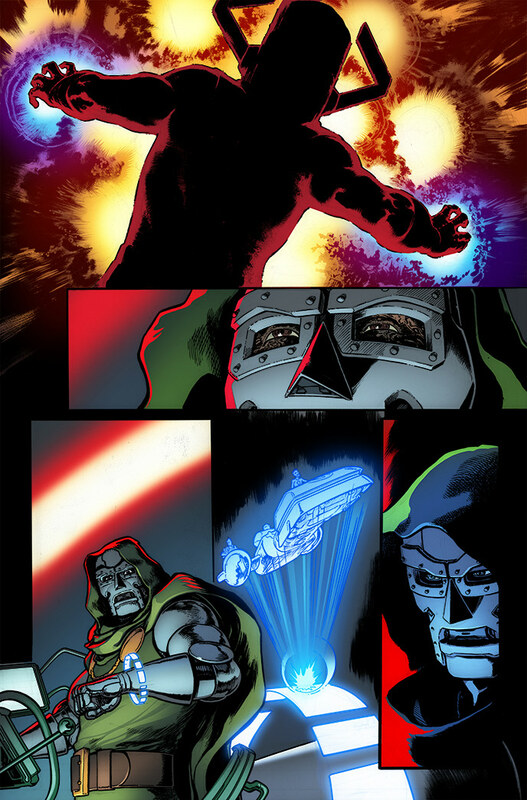 In Fantastic Four (2018) #6, Galactus returns to devour the Earth...and only one man can save us: DOCTOR DOOM!? But where is that agitator, Reed Richards and his meddlesome family? What are they doing? Turns out, they're locked in battle against the brave new hero of the Latverian people, VICTORIOUS! 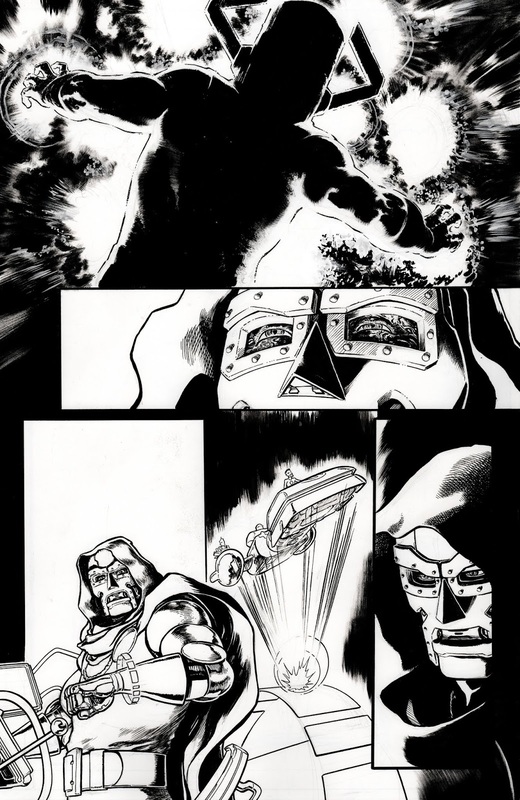 Powerhouse talents Dan Slott (AMAZING SPIDER-MAN) and Aaron Kuder (ALL-NEW GUARDIANS OF THE GALAXY) introduce us to the new Herald of Doom! And, for a limited time, you can get a behind-the-scenes peek at their creation! This exclusive content will feature a draft of #1’s plot, inked pages, color pages, a variant cover gallery, never-before-seen character designs and MORE! Not only will you receive this landmark issue – you’ll get to see the building blocks of its creation! Limited time offer, act now! * Limited time offer. You must purchase or pre-order a digital copy of Fantastic Four (2018-) #6 before 11:59 p.m. ET January 29, 2019 to receive the Fantastic Four (2018-) #6 Director's Cut. On January 30, 2019, 12:01 a.m. the Director’s Cut is available for purchase at $7.99. 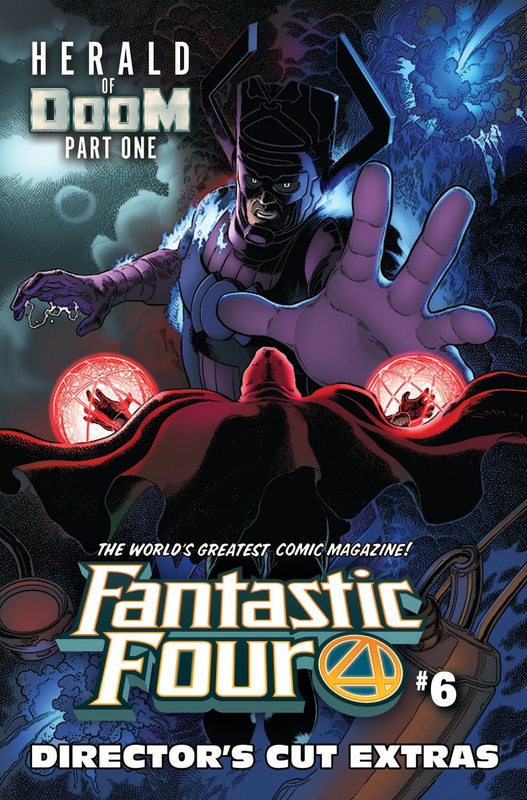 Those who subscribe to the series will receive the standard edition of Fantastic Four (2018-)#6. Offer is limited to one per person. The offer expires on 11:59 p.m. ET, January 29, 2019. ComiXology reserves the right to modify or cancel the offer at any time. Offer is valid for one-time use only, is non-transferable and may not be resold. If any of the products or content related to this offer are returned, your refund will equal the amount you paid for the product or content, subject to applicable refund policies. If you violate any of these terms, the offer will be invalid.